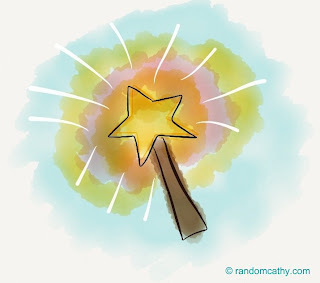 When I was a little girl, I wanted magical powers. You see, I was certain they were real. After all, I had been told the fairy stories and had seen the Disney movies. I've learned as an adult that we all have magical powers. That at any given moment we can make something special and unexpected happen. It only requires cultivating the creativity to see a moment, and the courage to take the risk and act. Purchase a latte for the store clerk who woke up too late to get coffee. Randomly tell someone in your life they are beautiful. Leave a piece of real jewelry that no longer has meaning for you in a park with a note to the person who finds it. Pay for the order in a drive through for the person behind you. Take someone else's cart back to the grocery store for them. With every magical act, you change the world we live in. The power is yours.